Those must be the four most foreboding words in the English language—surely you also heard the rumbling thunder in the distance. Don’t worry—we don’t have any news of ill portent to tell you, but in your capacity as a leader of your small business, the day will come when you will be the bearer of news that’s bad for someone else. Sorry to get a little dark on you, but everything in life—and especially business—is temporary, which means that eventually, people who are your employees now won’t be at some point in the future. That’s just the way running a business goes. And while it’s never fun to fire an employee (unless you’re really into that sort of thing), there are ways to make it better for you and for them. By learning how to fire someone the right way, you’ll avoid any legal issues while also minimizing the pain that is involved in handling one of the most difficult situations you will have as a business owner or manager. 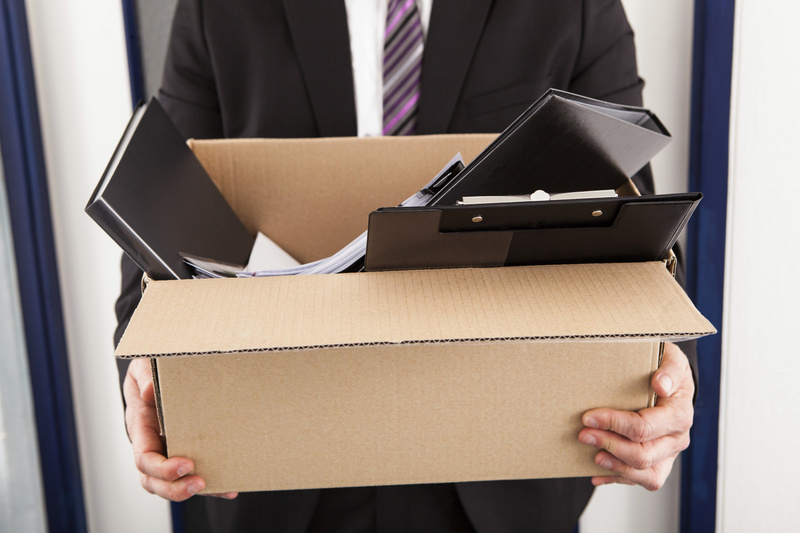 No doubt firing is one of the least desirable parts of your job description as a leader. This is someone you picked from a pool of applicants, brought into your business, trained, and spent time with. Letting them go can have ramifications for your business. There are a lot of reasons you might need to fire an employee: maybe their productivity is noticeably and consistently down, maybe their behavior drains the morale of those around them, or you’re getting complaints from other employees or even clients. Unless you’re firing for budgetary reasons, you should already have a record of an employee’s poor performance or behavioral issues and documented ways you’ve tried to work with them to improve. Remember, a talk about behavior or performance can be a chance for you to help them grow professionally. But if you were diligent in working with that employee and you don’t see improvement, or you’re met with disinterest, denial or defensiveness without any change in behavior after a few of these conversations, it’s probably time to let that person go. You’re a leader, and while that means your job focuses mostly on creating other great leaders, it means you are also the one to cut someone loose when, for whatever reason, it’s just not working. It can be a big emotional burden to take on, despite the existence of the platitude, “It’s not personal, it’s just business.” It’s hard not to feel at least a little bit bad about what you’re doing, even if you know it’s the right decision for you and your company. It can be even harder to figure out how to fire someone you like genuinely. So before you do the deed, bolster yourself. Remember: it will probably be an uncomfortable meeting, but no matter how emotional the business break-up is for you, you have to do your best to keep your emotions in check during the meeting. The last thing you want is to have the person you’re laying off have to comfort you because you’re so distraught that you have to let them go. That’s not fair to them and just adds insult to injury. Instead, line up a confidant, whether it’s a partner, spouse or friend, to be an outlet for any feelings you might have afterward. If you are a small business, you may be the HR department. If this is the case, it doesn’t hurt to seek some legal advice to ensure that you are handling the firing process in an appropriate way that does not conflict with any legal requirements. However, if you are a more established company and have HR personnel or an outsourced partnership, it is a good idea to seek their advice on the approach to ensure firing doesn’t become a legal issue that will come back to haunt you. You should certainly make sure you have all your aforementioned records on the employee’s performance and behavior in order so that you have a paper trail. This should include performance reviews, any warnings you may have delivered to them and any other coaching details. Before the meeting, you should also draw up a termination letter (reviewed by that aforementioned lawyer) to deliver to the employee once you’ve delivered the news. You’ll also want to think out all the logistics ahead of time: How are you going to collect any company property in their possession, like keys or computers? How and when will you give them their last paycheck? What are you going to tell them when they ask why they’ve been fired? Especially if you don’t have a dedicated person who handles HR, you need to be ready to tackle all the issues. And for after the fact, you’ll need to know how you’re going to handle any remaining emails their address receives and how to change any company passwords known to the employee. Make sure you have your plan in place ahead of the meeting so you don’t overlook anything. While you don’t want to drag your feet just because you dread the action you must take, you also don’t want to hurry through it just to get it over with. Either way, the act of firing will come off in the worst way possible. You may have worked closely with this person for a while and the idea of now telling them you won’t be giving them a paycheck anymore is tough. The fact is you aren’t doing them or yourself any favors by waiting longer to relay the news. When you have thought it through and have the necessary documentation and word choice in mind, it’s time to get it over with so they—and you—can start the process of separating and moving on. No matter how badly you don’t want to do the firing, don’t put it on a colleague or other member of the team to handle it for you. As the business owner and leader, this responsibility rests squarely on your shoulders. You know the employee better than anyone else and have the fortitude to handle these tough situations. Despite the emotions, the terminated employee will respect the fact that you took care of it rather than left them with someone who didn’t know them and clearly was just given the task of dismissing a team member. As much as logistics and your safety permit, you should fire an employee in person. A huge factor in learning how to fire someone nicely is having the courage to look them in the eyes and explain why. Find a place away from other employees (a place with a door and walls) to allow that person a bit of privacy during what will certainly be a sensitive discussion. It’s a good idea to have a neutral third person in the room with you when you do the firing, and it if at all possible, try to have that third party be a man if you’re a woman, and a woman if you’re a man, since dynamics can get complicated and unexpected allegations of discrimination or harassment may arise. If you don’t have another employee to have in the room with you, make sure that immediately after the meeting, you draw up an outline of what happened in the meeting and who said what. There is no best way to fire an employee, but it helps to make your message simple and to the point. Neither you nor the person fired is going to want it to last any longer than possible. You will need to provide a reason for the firing and then let them know what will happen next. Don’t say, “I’m sorry.” Instead, try something along the lines of: “As you know, we’ve had several conversations about your performance. We have not seen the improvement needed. Therefore, we’re terminating your employment, effective immediately.” Then you can give them the information about last pay and benefits, if applicable.If they have questions, answer them respectfully and briefly, but the conversation shouldn’t take much longer than 10 or 15 minutes. There may be times when an employee is upset and wants to continue discussing it. The best approach is to listen respectfully but then bring the conversation to a close as soon as possible afterward. The more specific you can be in terms of why you are firing the person, the fewer questions they are likely to have, so this will also help with brevity. The rest of your team will want to know what happened and, if they are not given some information, may jump to the conclusion that they could be next on the chopping block. It’s important to address the firing with your other employees. While you don’t have to provide all the details with respect to the terminated employee, you can mention that it was an isolated incident that involved a breach of company policy and they do not have to be concerned about their own job security. Focus on the future with your team so they understand everyone is moving forward together. If the person who was fired played a critical role in the company, have a transition plan ready to share with the team so they understand how roles and responsibilities will change until a replacement is found.